Flora Josie Schwebel Prichard was born July 7, 1918 and passed away on September 1, 2018. 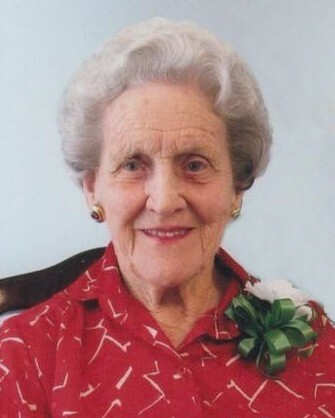 Flora was a longtime resident of Santa Rosa, where she served for thirty-five years as postal clerk. Preceded in death are her parents Fred and Caroline Schwebel, son Georgie Dean, husband J.L. “Prich” Prichard, twin sister Lora Graham, brothers Walter and Clarence and sister Irene Miller. Surviving are numerous niece and nephews. A special thanks for the loving care given by those at Casa Grace Assisted Living Home. Graveside services will be held at Restlawn Memorial Park, La Feria on Friday, September 7th at 9:30 a.m.
You are invited to sign the guestbook or share a memory at www.buckashcraft.com.